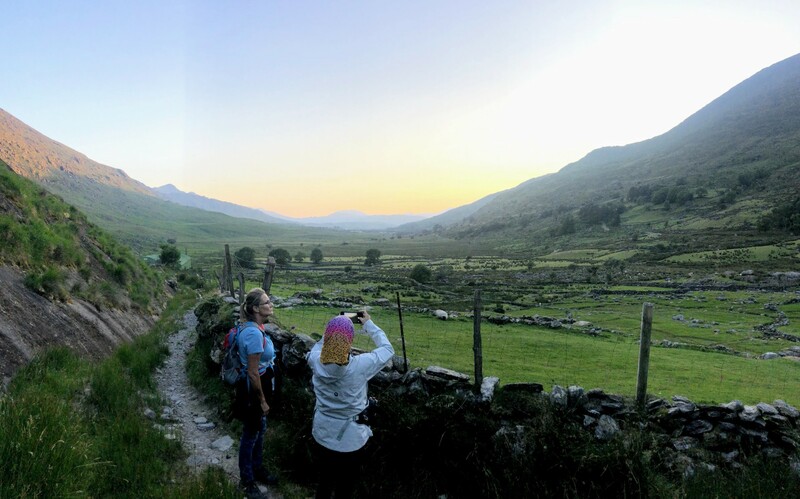 The 6 Day Adventurer Tour begins in Cork City and travels along the Wild Atlantic Way through Cork, Kerry and Clare as far as the Burren National Park. During the Adventure Tour there are 3 days with a hiking activity and 3 Days with a cycling activity. 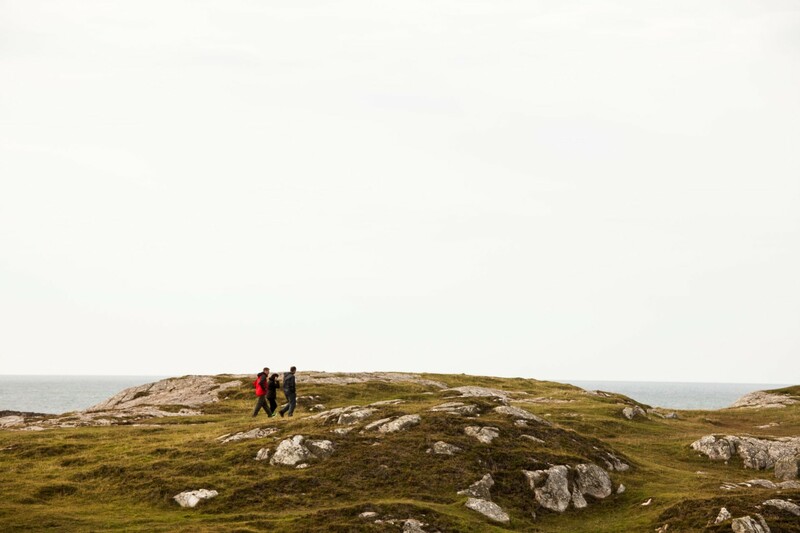 Adventure along the southern stretches of Ireland's Wild Atlantic Way. 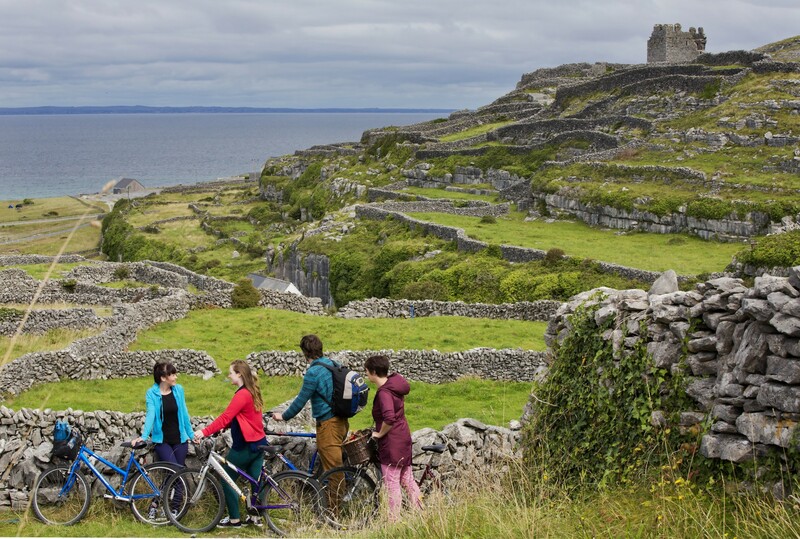 As you cycle and hike you will discover Ireland's unspoiled and dramatic landscapes. 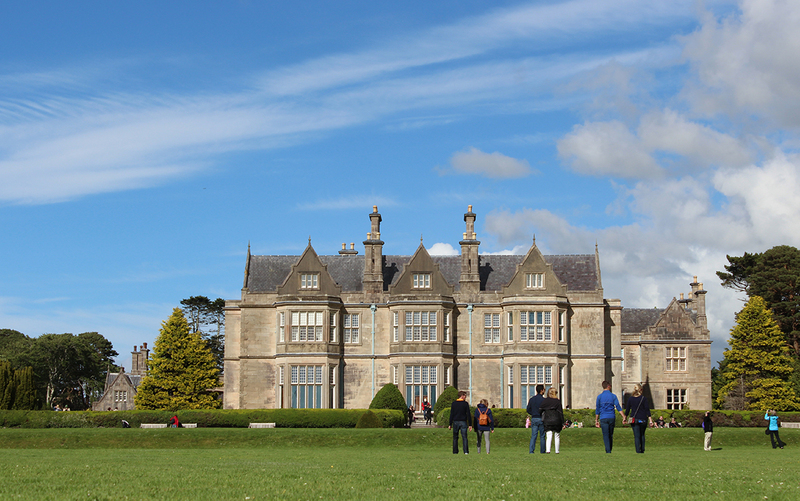 Absorb and relish the most beautiful and some hidden parts of Ireland. 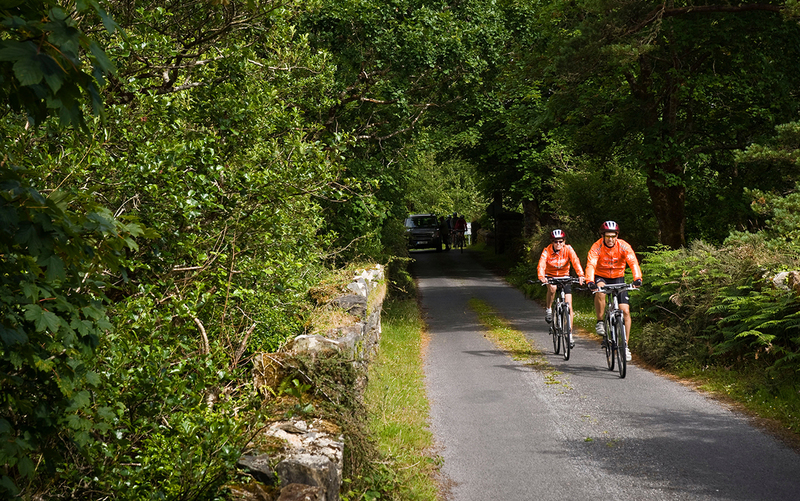 By bike as you cycle in the stunning Beara Peninsula and the charming Killarney National Park. By foot as you hike along the mesmeric Cliffs of Moher. Meander through diverse Irish landscapes in spectacular locations, including the renowned Ring of Kerry. 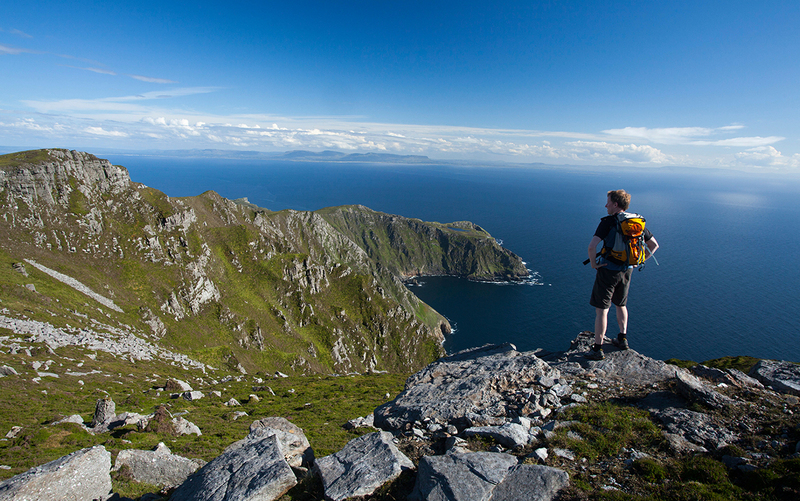 Here Ireland's highest mountain range stretch-out the length of the peninsula and they reach down to meet the rugged coastline with its countless inlets and beaches. Travel back in time to ancient and Celtic Ireland. 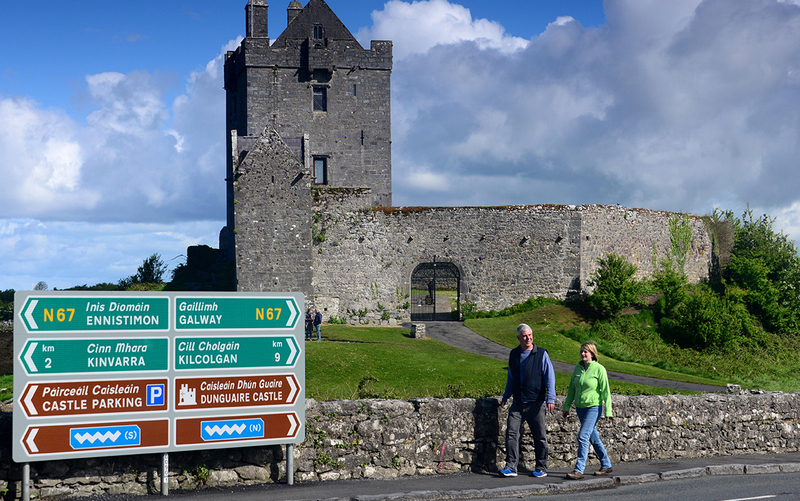 Imagine life in medieval Ireland as you walk through impressive castles, learn of Ireland's legend heroes and warriors as you listen to Irish folklore tales and walk in the footsteps of druids as you enter enchanting stone circles. 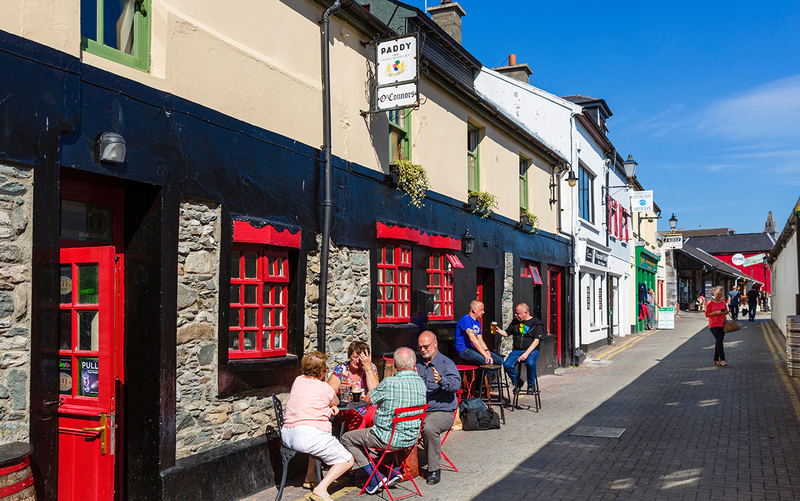 Savour unparalleled Irish hospitality and warmth as you visit the best Irish towns and quaint fishing villages including Castletownbere, Killarney and Dingle. The Irish welcome and friendliness is sure to stay with you long after you leave. The price of the 6 Day Adventure Tour includes your accommodation and transport for the duration of the tour, entrance to all sites and the guided activities on each day of the tour. The activities on this tour are hiking and cycling. During the 6 Day Adventurer Tour you will experience the best of Ireland along the southern stretches of Ireland’s Wild Atlantic Way. You will be immersed in the best parts of the Rebel, Kingdom and Banner counties of Cork, Kerry and Clare. Throughout the tour you will see ancient sites, Norman castles and towns alive with culture, music and stories. 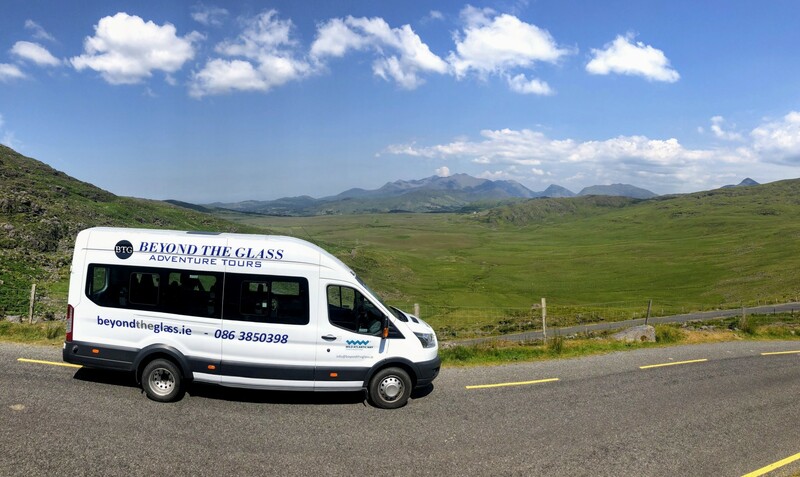 All BEYOND THE GLASS Adventure Tour guides are knowledgeable, experienced and friendly, giving you the ultimate adventure travel experience while seeing some of hidden Ireland. Day 1 - The adventure tour begins in Cork city. The first stop is to the world famous Blarney Castle, here you can explore and enjoy the Castle's beautiful grounds and gardens. If you choose to you will have the opportunity to climb to the top of Blarney Castle and kiss the Blarney Stone, which is reputed to give the gift of Irish eloquence to anyone who kisses it. The tour then travels into West Cork to join the Wild Atlantic Way. 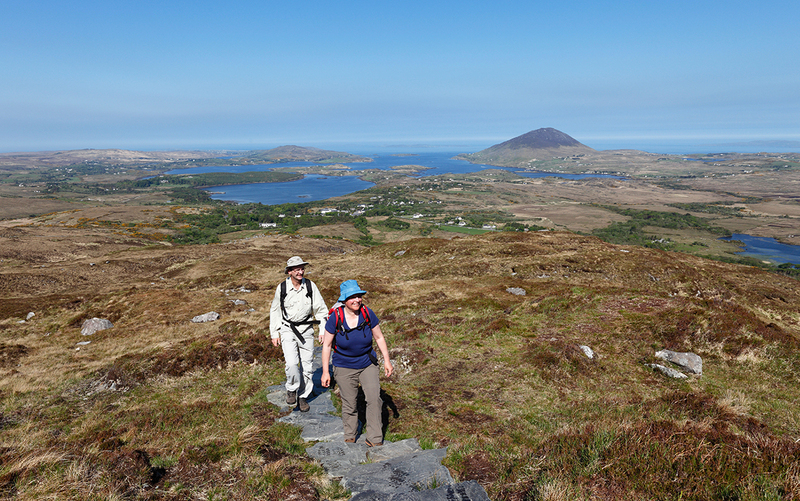 Today’s activity is a hike in the lowlands of the fabulous West Cork mountains, this is a gentle hike to get you warmed up for the adventures ahead. Day 2 - On day two of this small group tour of Ireland you will wake in the heart of West Cork on Ireland’s Wild Atlantic Way. In the morning there is a cycle along the spectacular Beara Peninsula. As you Cycle the quiet country roads you will be immersed in the dramatic landscape and rugged coast line that dominate this area. In the afternoon the tour travels over the scenic Healy pass to the town of Kenmare, here the tour has lunch and visits an ancient Stone circle. After lunch the tour heads west along the renowned Ring of Kerry. On the second night the tour stays in a scenic Kerry location. Day 3 - On the third day the tour travels into the Iveragh Peninsula to explore the world famous Ring of Kerry with its dazzling beaches and rugged beauty. On this drive you will pass through historic towns and villages as well as some of the most awesome scenery anywhere to be seen. The hike on day three is on the splendid Valentia Island. In the evening you can relax and unwind with a well-earned pint of Guinness. On the third night the tour stays in Killarney town. 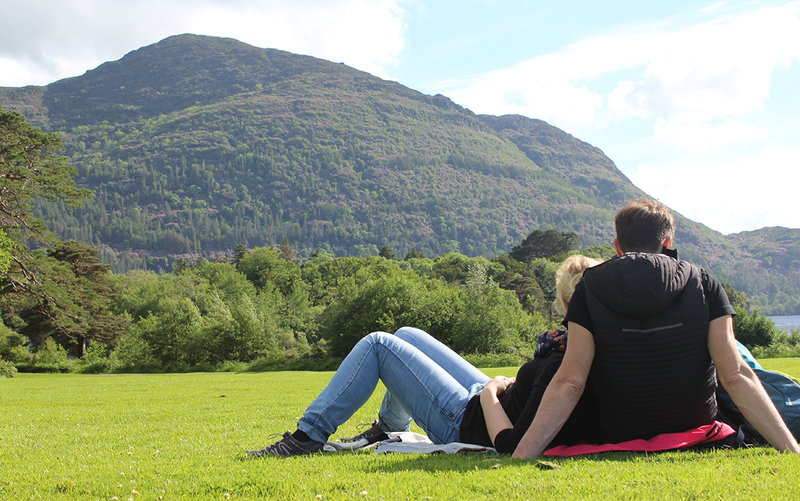 Killarney is wonderfully located on the edge of Killarney National Park and surrounded by the magical scenery of Killarney's lakes, ancient woodlands and mountains. Day 4 - During day four of this adventure tour you will get a real sense of the regions boundless energy and exquisite beauty. The day begins with a cycle through the wonderful Killarney National Park and Muckross Gardens. If you keep your eyes peeled during the cycle, you may spot some of the Deer that roam the park or maybe even a White-tailed Eagle which have recently been reintroduced to Ireland. In the afternoon the tour travel along a spectacular section of the Wild Atlantic Way heading further west to the jewel of Kerry, Dingle. Day 5 - On day five you will wake in Dingle town and as the morning breaks you perhaps will witness the sun rises over the harbour. 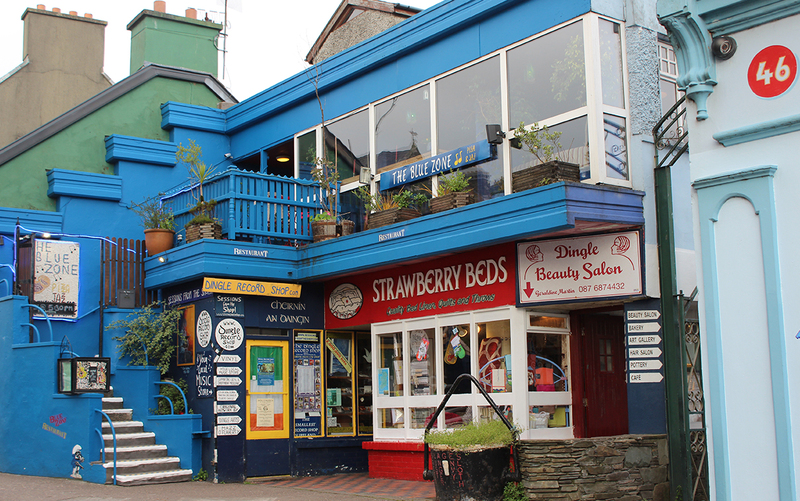 The small town of Dingle is perfect for a ramble, it has great local art and craft stores as well as excellent artisan cafes. 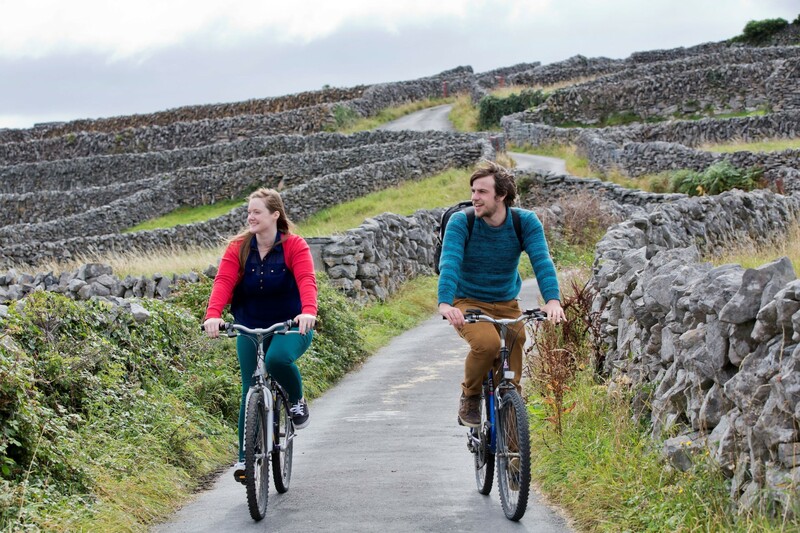 Today's activity is a cycle along the spectacular Slea head on the Dingle peninsula. Slea head juts out westward into the Atlantic Ocean and there are awesome views around each corner. Slea heads scenery and its flora and fauna make for an excellent experience as you cycle along its coastal road. After one of Ireland's most spectacular cycles the tour has lunch in Dingle and then travels the short distance north to a north Kerry town where the tour stays for the night and there is time to enjoy the evening with a stroll along a blue flag beach. Day 6 - On the final day of the tour there is still plenty of adventure. Firstly, the tour visits the spectacular Cliffs of Moher. The tour arrives to the creatively built interpretative Centre via a hike along the top of the mesmerising Cliffs. It is a fantastic hike with views out over the Atlantic to the Aran Islands. 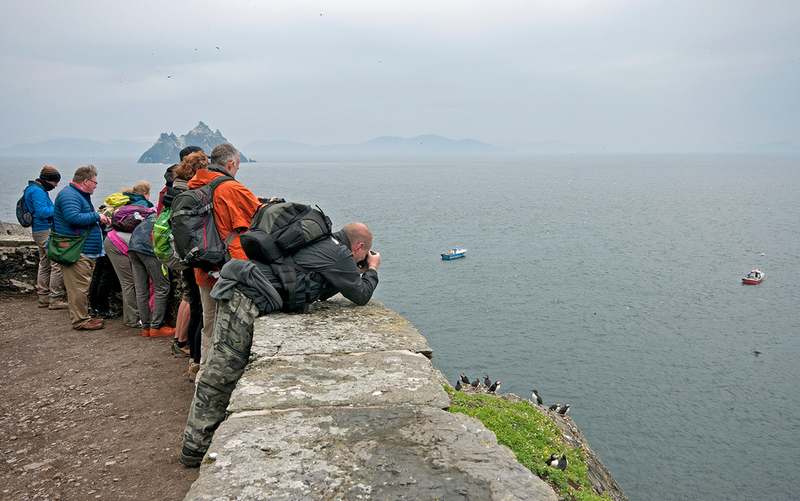 On the hike you will see some of the many sea bird species that the Cliffs supports. After lunch the tour visits and explores the Burren National Park. The Burren is a unique landscape made up of limestone rock pavement, Calcareous Grassland and Ash & Hazel Woodland. As you explore the Burren you can search for fossilised ancient Sea life or rare Alpine and Arctic flowers which the Burren supports. On the evening of the final day the tour returns to Cork city.